Turn your competitive side lose with Corvette Stingray rental from Rent A Vette. This unprecedented line of rental vehicles is available for reservation by calling (888) 308-5995 or reserving online here. Forget your crush on the Porsche or Mercedes! The well-equipped Corvette Stingray has captured the attention and hearts of car enthusiasts everywhere, combining the best of the classic Corvette with surprisingly high-tech and modern features. Built with improved handling and quicker shifting times, the Stingray’s impressive performance and sheer power is a thrill to drive. 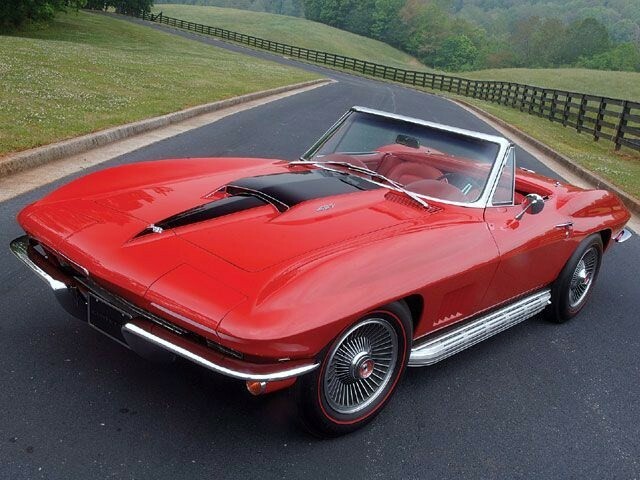 Produced in 1963, the second generation of Corvette introduced the Stingray. Designed by Peter Brock, the youngest designer to work at GM at the time, and Larry Shinoda, under the direction of Bill Mitchell, GM’s Chief Stylist, the Stingray’s design took inspiration from unexpected places. 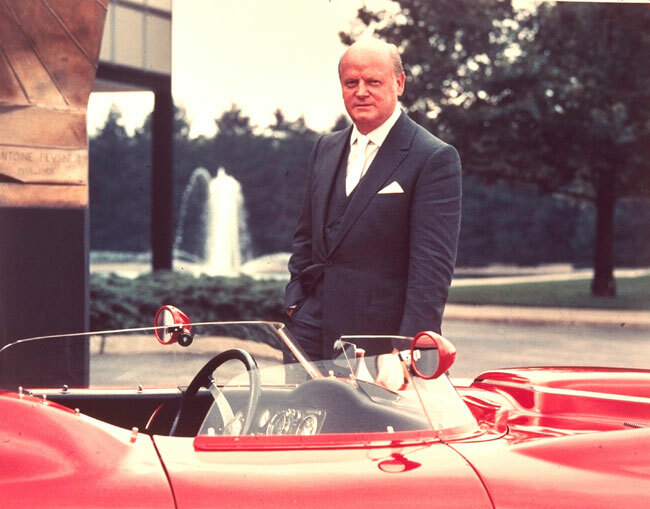 © Source: Bill Mitchell, one of the two greatest American car designers in history (along with Harley Earl), posing with the Corvette Stingray concept car. Dedicating attention to the aerodynamics, for the first time in the Corvette’s history, wind tunnel testing was used to refine the final shape of the Stingray. In addition to its stellar performance and seemingly effortless maneuverability, the car’s radical styling was an important part of its success. The Stingray model years were 1963-1967, 1969-1976, and 2014-present. While the most recent Corvette Stingray breaks new ground stylistically, it remains true to its rich racing history and the fundamental elements of the iconic Stingray. The 2014 Corvette Stingray comes fully loaded with a 6.2-liter V8, 455 horsepower, and hits 0-60 in 3.8 seconds. With its functionally elegant exterior, an insane amount of power and torque, strong brakes, and easy handling, you’ll be tempted to channel your inner racecar driver and test the car’s endless potential. Lauded as the perfect balance of technology, design, and performance, you’ll find nothing to disappoint you in this stunning example of a high performance vehicle. Driving this car will easily turn any trip into an unforgettable journey. So, rent the iconic Corvette Stingray today – a pinnacle of American sports car design and a car truly in a league of its own! For Corvette Stingray rentals in the Phoenix, Scottsdale, Tempe area, get the best in friendly, personal, and accommodating customer service from Rent A Vette, Arizona’s oldest exotic car rental company (operating since 1984). Call (888) 308-5995 and ask for Rick. Or place a reservation online.